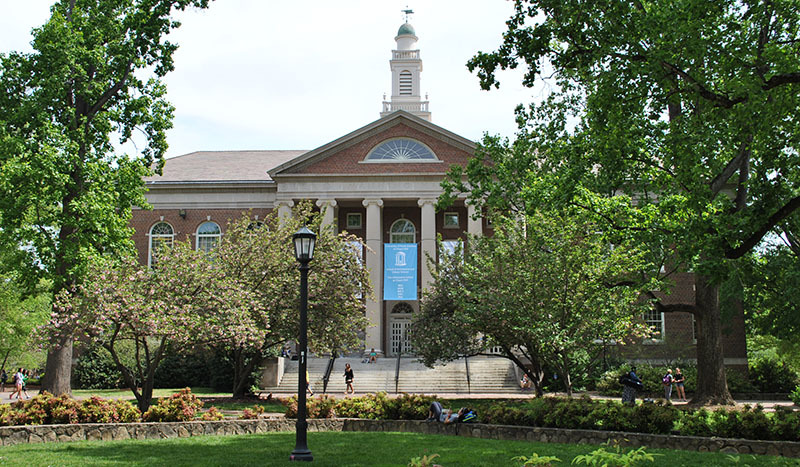 The UNC School of Information and Library Science (SILS) is housed in Manning Hall, centrally located on UNC-Chapel Hill's main campus. We are adjacent to Lenoir Dining Hall and directly across Polk Place from Carroll Hall. Click here for a campus map. Be careful not to confuse our Manning Hall with ITS Manning, an administrative building on the health affairs side of campus. Our physical address is 216 Lenoir Dr, Chapel Hill, NC 27599, but please note there are no public parking spaces near the building. Scroll down for parking options and office hours. The SILS admistrative offices are open normal business hours, 8 a.m. - 5 p.m., Monday through Friday. Specific staff members may not always be available, so it's important to make an appointment (see our staff directory) if you need to meet with a particular person. The UNC Visitors' Center offers a variety of campus tours. Prospective master's and doctoral students, be sure to check out the tours specifically designed for graduate students. The Chapel Hill/Orange County Visitor Bureau offers extensive information on local attractions, events, and lodging. Downtown Chapel Hill parking options include the Morehead Planetarium lot and Rosemary Street parking decks. Visit www.parkonthehill.com for details and directions. On campus, the closest visitor parking to Manning Hall is located at the Ram's Head Deck, 33 Ridge Road. Click here for details.